To Line or not to line! Now a days, not to line custom draperies is unheard of! The only time I would not line is when providing cubical curtains for a medical building. The question is what type of lining to use? The selections are several, and vary from very inexpensive to top of the line blends of cotton and poly. There are several choices of colors and of course room darkening or black out linings. How about interlining? Interlining is the material that is inserted between the face fabric and the lining. It is widely used in Europe and I made it a standard to use in my drapery designs. Interlining gives an opulent rich feel to the drapery, adds volume, and helps dress up the draperies. Interlining also protects against the weather elements such as the damaging rays of the sun and the heat that the it generates. It prevents the patterns in the fabrics from bleeding through, especially when using a contrast fabric in cascades and jabots, and i helps to make the true color of the fabric show and not get faded out from the sun light outside during the day hours. 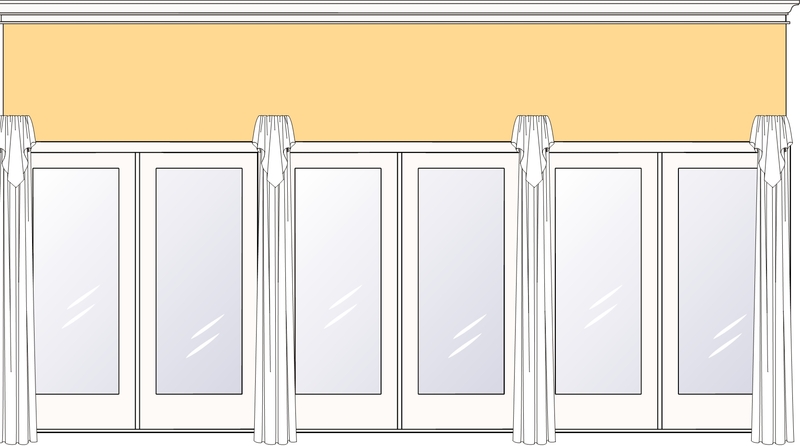 Interlining is great for providing extra insulation, especially when the draperies are drawn a cross the window for total coverage. Using interlining will create an ambiance of elegance, beauty, and the royal feel that you will not see in the average home. Call us at (630)420-0800. We provide in-home free consultation and free phone consultation as well! 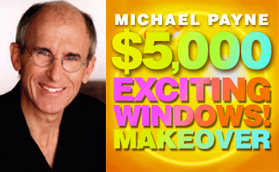 Enter to win $5000.00 window covering make over! Call us for details(630) 420-0800. You could be the winner! Enter now through May 31st.